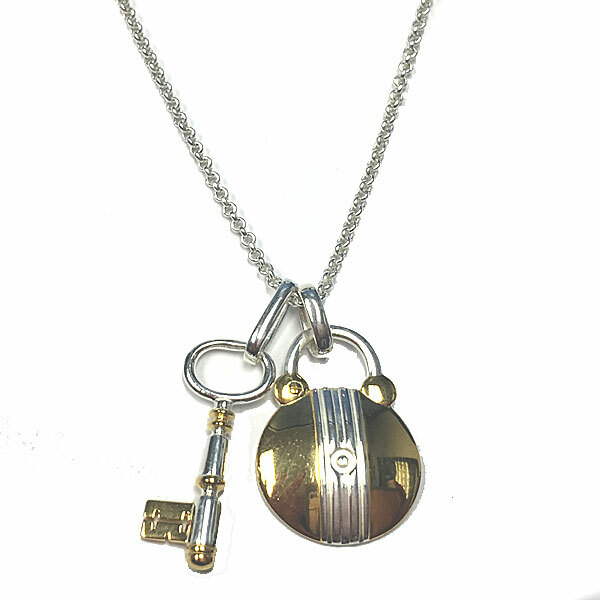 This sterling silver necklace was inspired by archaeological finds at Monticello. The lock, found on Mulberry Row, was a copper alloy padlock with iron clasp. A small lock like the one found could have been used to secure personal items in a chest or other piece of furniture. 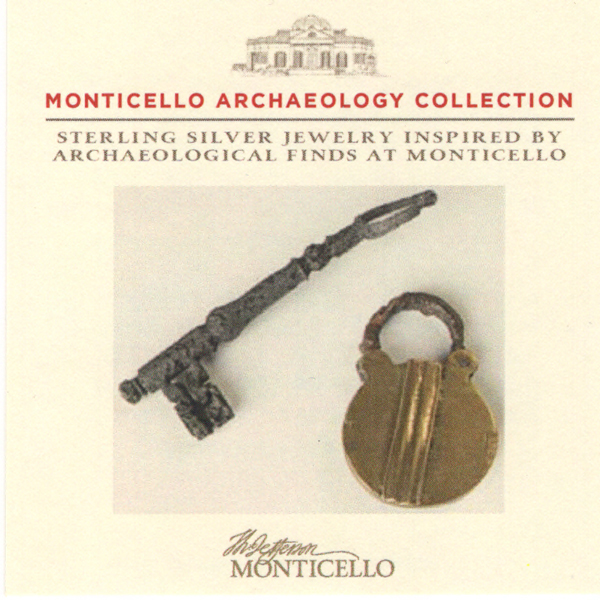 The key was excavated in the yard just south of Monticello�s South Pavilion. It was found completely intact in a midden, or layer of buried trash, dated to the 19th century. Petite in size, and beautifully detailed. 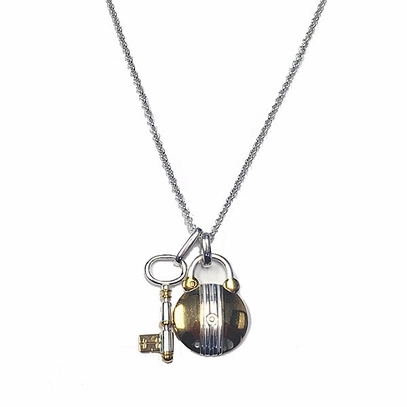 The lock and key pendent are both 7/8� long. 18� chain.